An American wildlife biologist has emerged from a coma and is communicating for the first time since a giraffe attack in South Africa left her and her young son fighting for their lives. 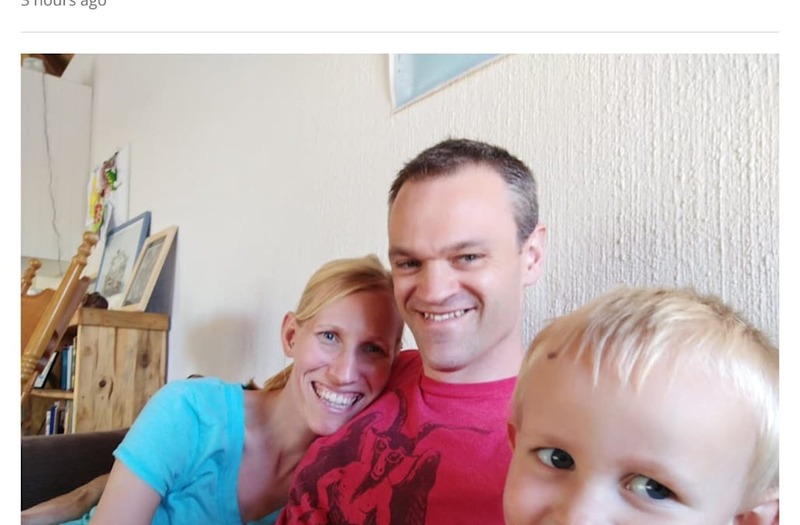 Dr. Katy Williams, 35, and her son, Finn, 3, remain in intensive care after they were viciously kicked by a female giraffe on Monday near their home in the Blyde Wildlife Estate near South Africa's Kruger National Park. Her British husband, Dr. Sam Williams, 36, returned from a run to find his wife and son being trampled by a giraffe believed to have mistakenly interpreted the two to be a threat to her two-month-old calf. The conservationist was then able to scare off the giraffe. Katy, a Baltimore native, underwent surgery and is now able to communicate via sign language after regaining consciousness. Finn is in stable condition Wednesday morning after undergoing surgery to release pressure on his brain. "It was amazing to see Katy wake up and to be able to talk to her and to reassure her that we are there for her,'' Sam told NBC News Wednesday. Finn is "stable and...I hope that in time he will also wake up so that we can all be reunited as a family,'' he added. The attack occurred in the vicinity of the family's home in the Blyde Wildlife Estate, which is also home to free-ranging giraffes. The giraffe who attacked them has been moved to another preserve with her calf, which Sam said in a statement is what Katy would have wanted. Normally considered Africa's gentle giants, like the famed April the Giraffe, the animals are also fiercely protective of their young and have a kick that can be lethal. "I can ensure you that Katy would never have deliberately put herself or Finn in danger,'' her father, Jack, told NBC News. "We hold no judgement against the giraffe. This is just the way nature is and we accept that."